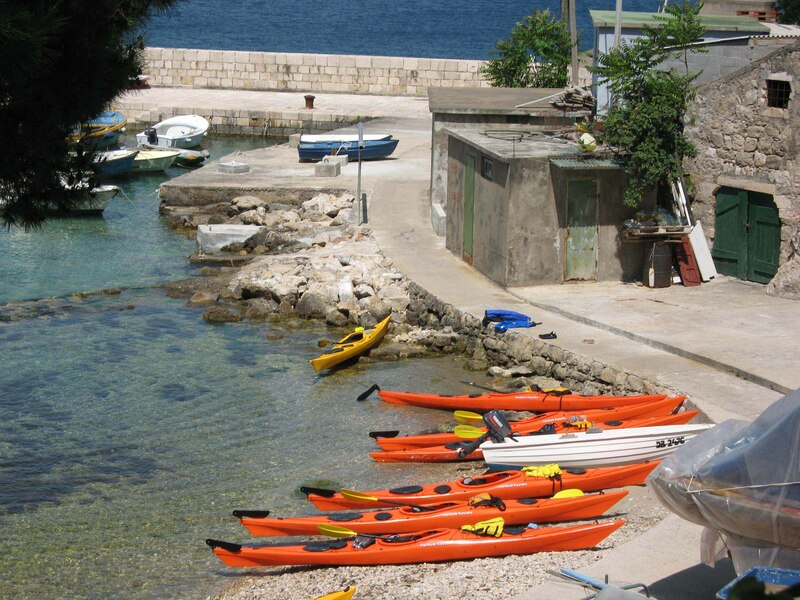 Which Adriatic Kayak tour is right for you? Let us help. First of all, all tours meet certain criteria. Sea kayaking: cool destination, warm water, lots of islands, great climate, tasty and fresh Mediterranean cuisine, active & relaxing, cozy B & B accommodations, small groups, fantastic guides, a company with 10 years of experience leading kayak tours in southern Dalmatia. Montenegro mountains: the largest and deepest river gorge in Europe, prisitne nature at its best, crisp mountain air, a magnificant totally natural (undammed) river, and Niksic beer- some of the tastiest on the planet. Alternatively, you can drink water from the Tara River. 1. Island Hopping Tour: It’s for everyone except extremists who want killer days. IH is a fantastic family tour and suitible for beginner/novice kayakers.The tour also caters to more experienced kayakers, as extra paddling can be added to the daily itinerary. Evenings on Lopud Island are lovely and relaxing. IH is offered frequently throughout the 6 month season. 2. Short Break Tour: It’s merely a shortend version of Island Hopping in the Elafiti Islands, so also suitable for the Island Hopping crowd. There are 3 days of kayaking, whereas Island Hopping has 4.5 kayaking days and a ½ day of island biking. Dinners are a highlight: you dine at a private home on a terrace overlooking Lopud Bay- fresh, organic, and local food in a spectacular outdoor setting. 3. Paddle Dalmatia Tour: The PD tour appeals to those who want to camp (3 nights of tented camping), paddle longer days, and venture further. It’s less “relaxing” than Island Hopping and Short Break because you pack and move each day, but you don’t carry much gear. Meals are in restaurants, so no need to carry food and cooking utensils. PD is not offered durring the summer (high season) because it’s too difficult to book single night stays. PD is 6 days of sea kayaking, camping on the mainland, and overnights in B & Bs on the islands. 4. 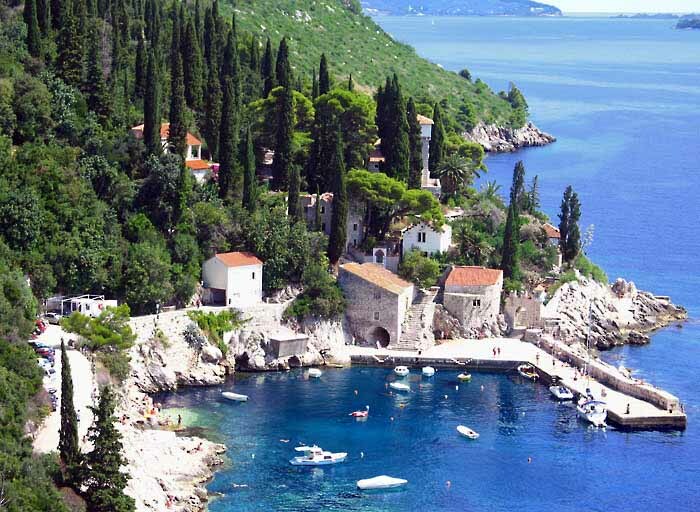 Best of Balkans Tour: For those who want to visit two distict regions, the Adriatic coast and islands as well as the inland mountians and rivers of northern Montenegro, Best of Balkans is your tour. The sea kayaking is the same as Short Break, so suitable for all ages and abilities. 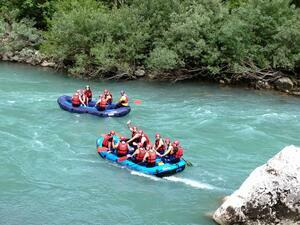 The mountain portion is also suitable for all- not highly strenuous rafting and hiking. 5. Montenegro Mountains and Sea Tour: The paddling expereince is different from kayaing in Croatia. 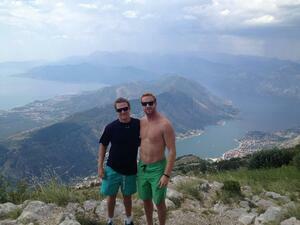 You are in the Bay of Kotor, not in the open sea, so you are guaranteed calm water. In a big bay, you can get to lots of sights and villages (paddle to 2 UNESCO world heritage sites, Perast and Kotor) without straying far from your home base. The mountain section is the same as Best of Balkans- a bit closer, so a shorter drive- equally spectacular en route. 6. Pedal & Paddle Tour: Pedal & Paddle is a multi-sport tour. Your week’s activity is divided into 3 days of kayaking and 2 full days of hiking and biking. Mljet Island is much larger island than those in the Elafiti Archipelago, so there are more options for longer bike rides, village to village on untrafficed roads. One third of the 60 km long island is national park with wonderful hiking trails. The hiking and biking is too challenging for young children. 7. Vis Island, Outer Limits Tour: Vis is our most challenging sea kayaking tour. The island is more exposed to wind and extreme weather conditions, with longer paddling days, but very worth the visit and extra energy expended. The coves and beaches along the southern shore are stunning and undiscovered by most tourists. 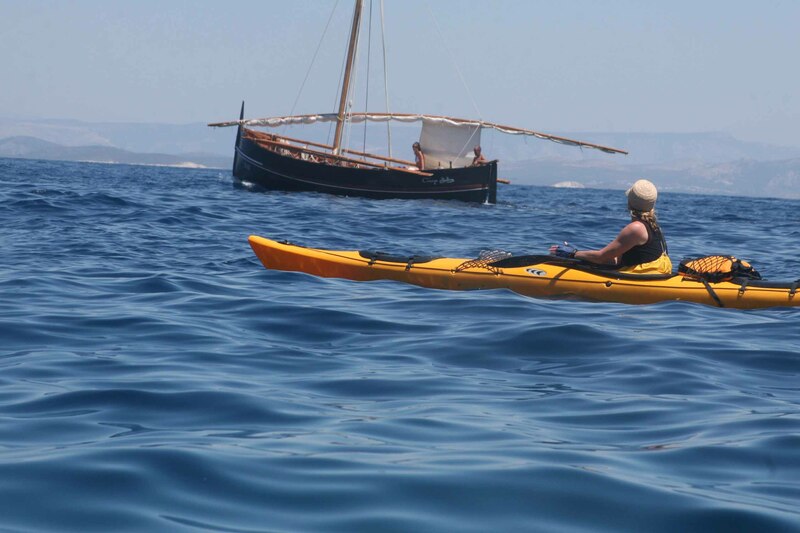 The Vis Tour is best suited to paddlers with some experience in open water and Adriaitc Kayak Tours alumni. Island Hopping the coast of Croatia by ferry- it’s not that easy! While island hopping up/down the coast of Croatia sounds quite fun, if not glamorous, it’s not easily done. Even guidebooks make it sound easy to travel the country’s stunning island studded coast hopping (ferrying) from one island on to the next…however, be prepared for a good bit of frustration. First of all, information is not easy to come by. 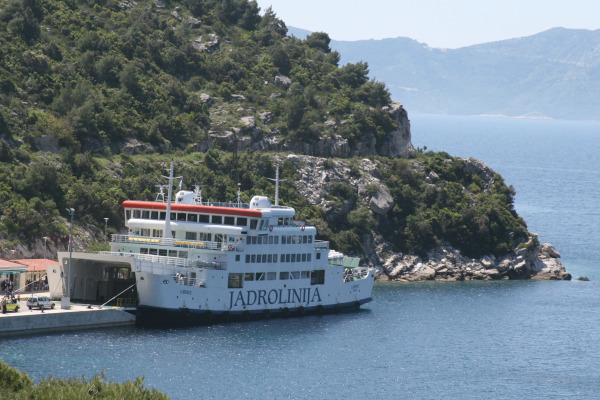 The national ferry line, Jadrolinija, http://www.jadrolinija.hr/en/home, just revamped its website, but there is no information about the 2014 coastal ferries that run between Rejeka in the north to Dubrovnik in the south. International and local ferry lines have posted timetables, but the schedules change from winter season, to shoulder spring season, to June-September high season, to fall shoulder season, and finally back to winter season. Reading timetables is also a bit of an art if not a daunting challenge for the dyslectic. Sundays and Croatian holidays differ from the Mon-Sat schedule- know your Croaian holidays because there are lots of them. The right side of the timetable is generally ourbound from the coast to islands, read for botom to top, and the left side is the islands to coast return schedule, read from top to bottom, but there are always a few asterics noting deviations in the schedule. Back to the coastal ferries…based on previous year’s timetables, the Rijeka to Dubrovnik ferry departs Rejika Monday and Friday evenings around 7 pm, arriving at stop 1, Split, at 7:30 the next morning (Tuesday & Saturday). Stops 2, 3 and 4 are Hvar Island (9:15), Korcula Island (1:30 pm), and Mljet Island (4:15 pm), before arriving in Dubrovnik around 7 pm. Let’s say you board the ferry in Rejika Monday evening and hop off at Hvar at 9:15 am Tuesday. You must wait until Saturday for the next southbound ferry. You catch the Saturday ferry to Korcula, intent on spending a day or two before proceeding to Dubrovnik, however the next ferry south isn’t unti Tuesday. Thus “island hopping” is not for travelers on a time budget, as 3 or 4 days pass before another ferry arrives. For 2 months of the year, July & August, Jadrolinija supliments the regular ferry schedule with passenger-only (no bikes or big things) island-to-island catamaran service. Those schedules can be superimposed on the regular ferry timetables for more efficient island to island travel. Ferry schedule nightmares aside, rides aboard the Jadrolinija ships are experiences not to be missed. See earlier blog post, The Postira Ferry: Sea Kayaking Croatia. The boats are 1950-1960s “old-school” ships with great character; no two boats are alike in design or flavor. Local lines are designed for the “locals”; it’s the olnly way to get regrigerators, beer, bread, toilet paper, etc out to the smaller islands without roads and cars. The larger islands, likewise, are without airports, so everything comes in by boat. Ride the ferries, for sure, just don’t be in a hurry to get from A to B. 1) Dubrovnik is Croatia’s 8th largest city, however the Dubrovnik Airport is Croatia’s busiest airport. Rebuilt post war destruction in the 1990s, the current five year expansion plan adds new carriers and routes annually. 2) The only way to reach Croatia’s islands is by ferry or private boat. Bus service between cities is excellent, but if you want to visit remote areas inland, such as Plitvica National Park, it’s best to rent a car. 3) How to read Croatian ferry schedules. Jadrolinija, the national ferry line posts timetables on its web site. On the right-hand side of a schedule, the timetable moves sequentially from bottom to top. On the left had side of the schedule, the timetable move sequentially from top to bottom. Check the dates! Most timetables change multiple times during a calendar year, with different winter, spring, summer, and fall schedules. Holidays and Sundays are typically different from week-days. 4) Ferry tickets are not sold on ferries. Tickets should be purchased at a ticket office before boarding ferries. 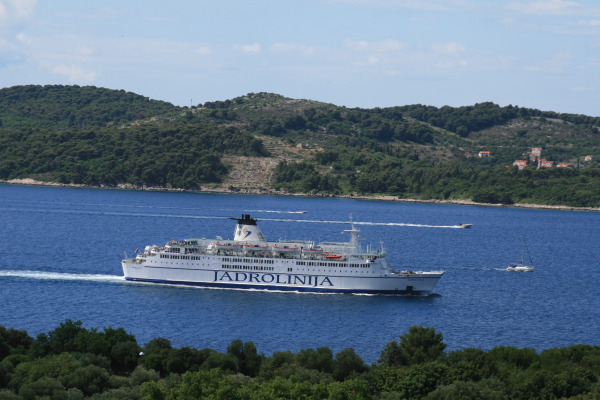 International ferry service to Croatia is limited to Italy. In addition to Jadrolinija, SEM Blueline, www.bli-ferry.com/, Azzurra Line, www.azzurraline.com/ENG/, and SNAV, http://www.snav.it/en. 5) Island hopping up and down the Croatian coast by commercial ferry is neither easy to plan nor an efficient mode of transport. The north-south ferries (Rejeka to Dubrovnik) run only two times/week. In high season, combine coastal ferries with local catamaran service to island hop independently. 6) The trip from Split to Dubrovnik by private car or bus is 3.5 hours. The trip by ferry is 5 hours (two times per week). There are roughly 8 Split-Dubrovnik buses daily. The bus ride from Dubrovnik to Zagreb is roughly 12 hours. There is a border crossing into Bosnia, briefly, overland between Split and Dubrovnik. It is not a problem for foreign tourists...just remember your passport. 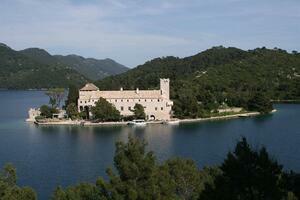 7) Croatia has 8 national parks. The best known is Plitvica, in the northern interior, for its dramatic waterfalls and lakes. However, national parks in Croatia, in general, do not permit active recreation, such as kayaking or canoeing, back country hiking, and camping. National Parks are designated for sight-seeing rather than outdoor activity, so plan accordingly. 8) Driving in Croatia and the neighboring countries of Montenegro and Bosnia/Herzegovina is safe and gives you the most flexibility to get to a variety of places efficiently. A small rental car costs roughly 55-60 Euros/day. 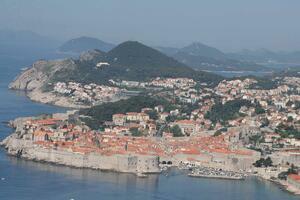 9) Dubrovnik Tip: Do not walk the City Walls (#1 tourist activity) in the middle of the day. It’s horribly hot (no shade) and crowded, especially if cruise ships are in town, which is highly likely. Go early in the morning or late in the day. 10) Dubrovnik Tip: Climb Fort Lovrijenac (free standing fort just west of Old City) for an amazing sunset over Mljet Island. Cold beer and wine optional. And the best Dubrovnik beach is Sv. Jakov. It’s an extra 15 minute walk past crowded Banje Beach, but well worth the effort. Food service, umbrella, and beach chairs are available.